It’s that time of the year when most people get into the spirit of barbecuing, and whilst that is a tasty way to eat outdoors in the hope for sun, we think it’s time for more adventurous flavour experiences to be acquired within the comfort of our own gardens, or possibly even wider outdoor spaces. That’s why we’ve been conjuring up authentic Italian pizzas on the £249 (+£40 delivery) Grenadier Earthfire Pizza Oven. We’re not novices to cooking pizza outdoors, we already do so on the La Hacienda Clay Pizza Chimenea. The only problem with that is its pizza stone is relatively small and so hosting for 10+ people can become challenging when half of a pizza each looks like a respectable slice! With the Grenadier Earthfire Pizza Oven the stone is the same size as you’d expect a large pizza to be in your local Italian eatery. Housing the stone is a generously thick two part ceramic body, that looks a fashionable decoration in any garden. As it’s ceramic is coated in a layer of glazing, it refrains from absorbing rain and we're told it can live outdoors permanently too (a cover will be available soon also). However, due to its squat design, finding a place within a shed or garage for it to reside if desired should be little problem. 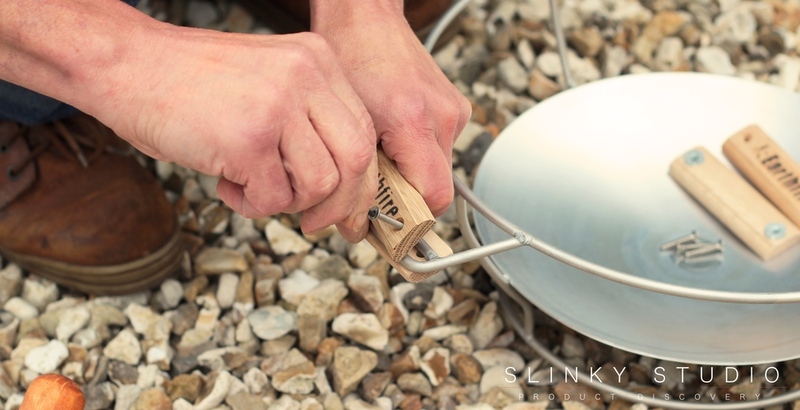 The body sits on top of a practical stainless steel stand that obviously won't rust; it’s secure and its wood-covered handles make transporting when cooking or taking indoors a relatively controlled affair. This is something you can simply not do with the La Hacienda Chimenea and makes the Earthfire Pizza Oven more similar to the LotusGrill fan assisted barbecue we’ve previously featured. With the visual instructions to hand the oven was a breeze to set up. 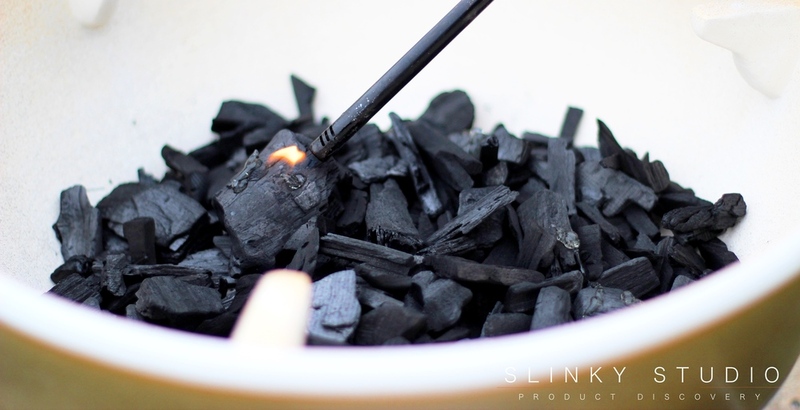 After two simple handles are screwed on and the order of parts are understood, charcoal or wood can be poured into the base and then lit - all done in under ten minutes straight out of the box. Getting going should be simple if you're familiar to barbecuing and all it needs is to be placed within an area that isn't caught by wind. To add a little context, the Earthfire Pizza Oven took roughly 15 minutes to warm up and then we popped the pizza stone in to heat for a further 8 minutes. It’s then ready! A tool to remove the stone when hot and a separate pizza paddle are included within the box. Cooking pizza in a pizza oven can make a traditional oven feel like eternity - usually taking 10-15 minutes. On the Grenadier Earthfire Pizza Oven, when operating at full temperature, it takes just 2-3 minutes to cook a large pizza! What’s more, the tongue is treated to sensual aromas if cooking with wood; with different varieties of woods enthusing the flavour notes of pizzas in remarkably different ways. Charcoal is, of course, fine to use too, and transmits a generally smokey character. 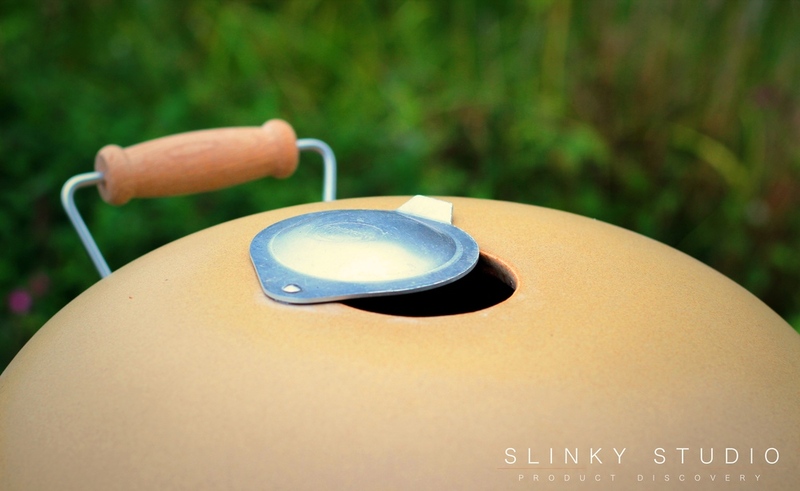 In addition to the flavour, the porous ceramic housing absorbs moisture from the pizza base and attempts to keep things non-soggy with much success. This all encompassing extreme heat retaining design allows cheeses to near caramelise, tomatoes release sweeter profiles and hard raw vegetables lose their firm bite quickly as the moisture is released out. There were some ideas within the supplied literature as to how to control the pizza if the base is cooking too quickly, like popping the pizza onto the additional grill plate which sits on the stone - but pleasingly we never had such issues. However, we exclusively cooked thin crust to medium base pizzas which could explain why. It should also be noted the top metal air vent assists if things get a little too hot. 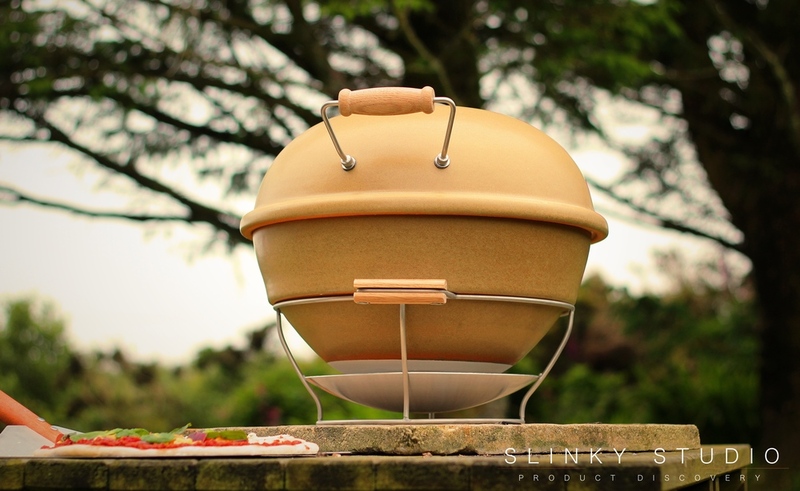 Our experimenting, or rather excuse to eat a lot of pizza, has shown us that the Grenadier Earthfire Pizza Oven is a design that has worked tremendously well throughout our outdoor usage. 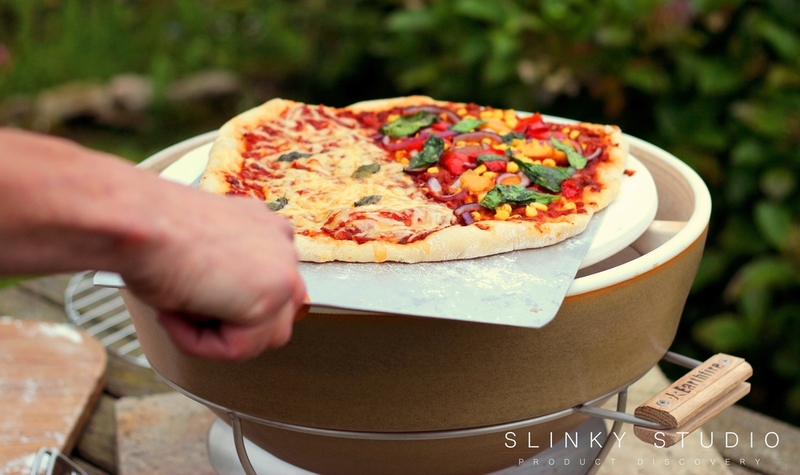 The large pizza paddle (don’t forget to flour it) is excellent, and lifting the lid for access to the stone doesn’t need oven gloves thanks to the wooden handles being designed not to heat up. The only negative is that you can’t keep a keen eye on the pizza whilst it’s cooking because of this all encompassing heat retaining design. If we stare through the open air vent we can cautiously catch a vague glimpse of what’s going on, although it should be remembered that there is considerable heat coming from the vent and you should not put your face directly over it; but really that 2 minute mark is important to register and lifting the top off the oven quickly soon reveals the state of cooking progress. Add a bit of variety to your outdoor cooking this summer and for many to come, thanks to the tremendous South African build quality of The Grenadier Earthfire Pizza Oven which has everything you need in the box. 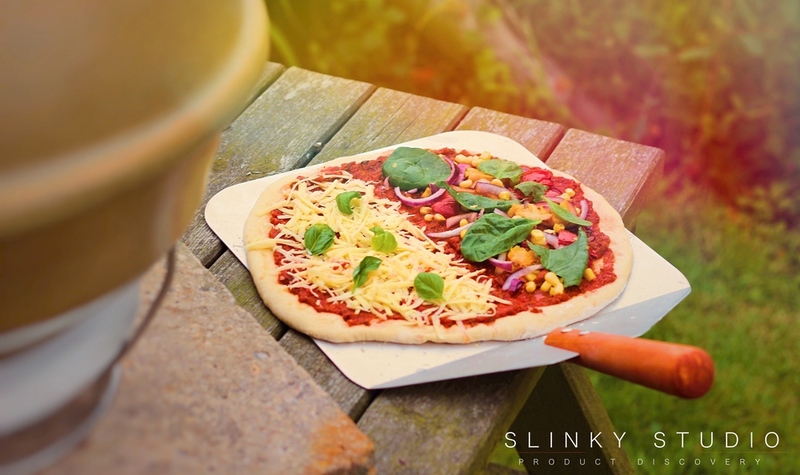 It instills the right amalgamation of characteristics for delicious flavour-rich pizza and is a product that isn't restricted to just your garden, as thanks to the handles and squat design it can be loaded into the car for trips to the beach or friends/family homes too. To help soften the blow of the initial purchase we researched the average spend on pizza takeaways within the UK and it amounted to the Earth Fire Pizza Oven paying for itself after just 10 skipped orders - not bad!